As rural adolescent girls become more educated and economically empowered women, their influ­ence within the home and community also grows. Educated women are more likely to participate in the development and growth of their community. The welfare of the next generation lies heavily on the shoulders of adolescent girls. Most of the rural girls of today will at some point become mothers. 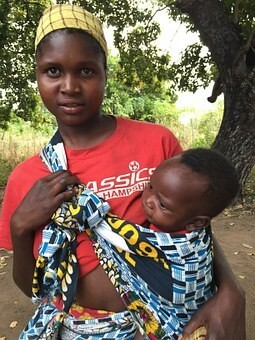 A mother’s circumstances largely determine the outcomes for all of her children—girls and boys. Educated, healthy, and empowered women raise educated, healthy, and empowered children. If rural girls continue to take their education seriously, they will grow to be change agents in their community. It is very important for rural women to support their girl child with their studies. By equipping adolescent girls with what they need to become healthy and educated human beings, their social, economic, political and human capabilities increase and are passed to the next generation. Until we change our way of thinking, our behaviour will not change and this will result in more generations of poverty. An educated girl can bring about needed change in her home in terms of health information, economic opportunities and well trusted information to better her family in life. Denying rural adolescent girls the opportunity to further their schooling only holds not just the family concerned backwards, but the entire community. There’s an African expression that says, “it takes the whole village to raise a child”. It is mostly women who knows what the home needs, imagine when girls are properly educated to unlock new opportunities that can grow the standard of living, such as learning basic first aid procedures or how to put our petrol fires and how to run a small business. There opportunities are great with rural adolescent being given the opportunities to be the best they can be in life. School kids are well taught on the dangers of teen pregnancy and dangers of HIV and AIDS. It is well informed rural adolescent girls who will make right choices in life, than those who stays at home without schooling. If a girl falls pregnant, that means more mouth to feed and that increases financial burden on a family. With new cellphones coming into the market, rural adolescent girls can find bursary or employment opportunities outside their community with proper education background. Parents, if your girl child is not schooling because you want her to assist you with home chores, then you are denying her the opportunity to be the very best in life.